You don’t have to be an Old Man, but you will need the Sea to enjoy the riches of saltwater fishing. And believe us when we tell you that saltwater fishing is a sport worthy of a Pulitzer Prize. It is no wonder that Ernest Hemingway, that most rugged of literary figures wrote such a powerful ode to it. For if you have ever strapped into the game chair with a behemoth of a 1000 pound Blue Marlin hooked astern, then you know that to earn the title of open-water angler you had better be prepared to fight. If you haven’t, then it’s about time you made some plans. Involves fishing farther away from shore or in pelagic (open ocean) waters from a boat. Monitoring weather conditions and up-to-date navigational charts play an important role in this big game ocean safari. Although advancements in boats, safety equipment, tackle, and electronics have made the sport more accessible to the “everyman,” it is best for those anglers who are not experienced to hire a reputable guide. Depending on the game you are after, the tackle, gear, and techniques vary. You can bottom fish for species such as grouper (which are mighty delicious) in which case you would use cut bait like squid. Or maybe you want to troll for sailfish using live bait. Some of the other prize game include bigeye, blackfin, and bluefin tunas, black or blue marlin, bonefish, and black sea bass to name a few. A reputable guide with experience fishing your chosen waters can help with the tackle and gear and teach you the best techniques for whatever quarry you find yourself after. Although not as challenging as deep-sea fishing, saltwater bay fishing can be just as rewarding, especially with children because the odds of a great catch are in your favor. From San Francisco Bay across the country to the Chesapeake Bay, saltwater bays are big, have the advantage of being semi-enclosed, and filled with sports fish like striped bass, salmon, and others as well as baitfish, and crustaceans attracted by the active estuary environment caused by tidal movements. You will still need the correct tackle and gear and using a reputable guide that you can find right here at Campers & Gear can make your experience one to remember. With a bounty of public parks and fishing piers adjacent to saltwater opportunities like beaches and ocean shorelines, saltwater fishing from boardwalks, piers, jetties, and the surf is a great way to get your feet wet and your hands salty. This type of saltwater fishing is perfect for families and beginners. Pier fishing and the like require less saltwater fishing tackle and gear than fishing from the surf, so it is a fantastic starting place. Once you have some experience, move into surf fishing where you are sure to generate some great fish stories to tell your friends. No matter which type of saltwater fishing you plan on doing, we here at Campers & Gear have no doubts that you will have an epic time. 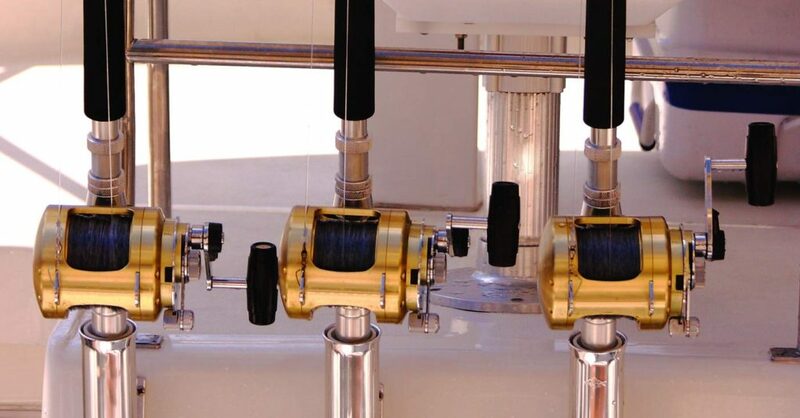 As we told you in our article ‘Casting the Right Fishing Guide’, there are numerous advantages to hiring a reputable and experienced fishing guide, and right here at Campers & Gear you can find and hire the best fishing guides there are. They can help with licenses and permits as well as tackle, gear, and techniques, so leave the worries to them and the fishing to you!